Many times we come across the issues like hard drive got corrupted etc. and that time we don’t have any option and we lose the data. So it’s good to prepare for the worst case scenario. Although the new version of Windows OS has the backup feature but it is very limited and users feel the need of some external software and tools which can save them from any such digital disaster. 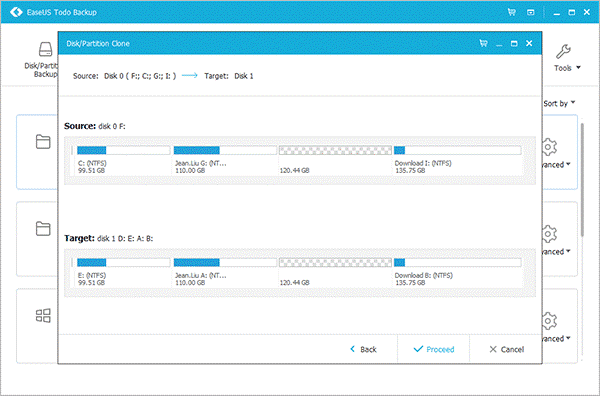 EaseUS Todo Backup Free is a standalone program which helps you to create backups, disk clones, emergency disks and much more. I am using it since few days and it is working well for me and I am sure you will love it. I am using the free version of it and so have bit limited feature but if you are going with premium then you will have access to all the features which are much useful. Here in this EaseUS Todo Backup review, I am going to share all the features of the tool and will let you know how it is going to help you. 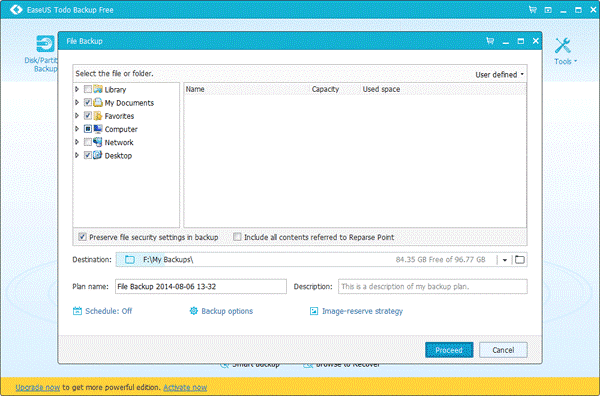 What is EaseUS Todo Backup? EaseUS Todo Backup tool is a software by the well-known software product company EaseUS which is known for their data products since years. This tool is free for Home but you will have to buy if you're using it commercially i.e. for business purpose. In the free version, you can use Todo Backup Free. In the premium segment, you will have access to many tools which will help you a lot. I will be talking about those in details later in this EaseUS Todo Backup review. This tool is for all who need versatile backup and restore solution on the ease. This Todo backup tool is a perfect solution if you need a solid tool which can help you in any situation and if you don’t have any technical knowledge as well. Anyone from the average user to a seasoned administrator can benefit from this wizard-based backup solution. You can mount up the backup once created to ensure that all the files are at their places and working. Let’s start with the features and usability of this awesome and helpful software. To get started, I would first suggest you to download the software and check exactly how it is going to help you! Now, let’s start with all these features one by one. 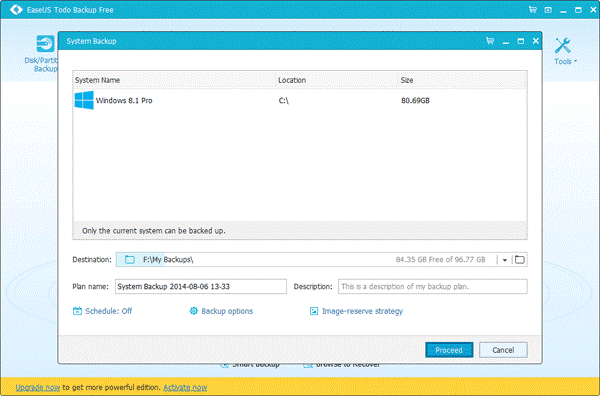 Using this option, you can backup any drive of you system or any partition. For this all you have to do is, open the wizard and select the drive you want to backup. You can also backup external hard drive easily using this feature. If you don’t want to backup the entire drive and just need to backup the important stuff, then this feature is for you. Select the files you want to backup and done. This feature will backup your entire system including the software and apps installed in your PC with the files. If anytime you need to restore the system, you can easily do it. This is a smart feature by the company where it will automatically backup some important files from your system like files on desktop, documents sections etc. Using this feature you can clone a drive to another, a folder or anything you may need and want. This tool will show you all the partitions you have in your system which even includes the hidden files. You can easily clone the hard drive using this software. You can check this article on how to clone hard drive for more details. You can also clone HDD to SSD (solid state device) using this tool. Emergency disc creation: This can be used to create a disc quickly in case of any emergency like while restoring if the required disc will get failed or corrupted, you can create the new one quickly. Mount/Unmount: Will help you to unmount the mounted drive and vice versa easily. 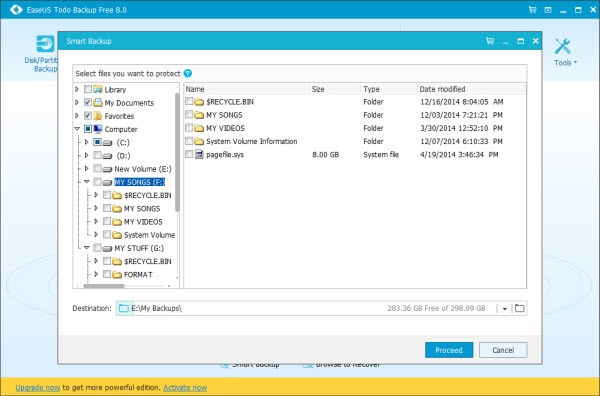 EaseUS Todo Backup tool is really a very helpful tool for everyone who use any kind of storage device no matter it is internal or external. It’s good to have some precautions rather regret later. The best thing with this software is, it works perfectly with all the windows OS and you won’t feel any compatibility issue. Which tool you use to backup and restore your data?